An advocacy group formed after the January 2014 Elk River Chemical spill will launch a campaign aimed to create a publicly-owned water system in the Kanawha Valley. In a Thursday news release, Advocates for a Safe Water System says the organization will launch the “Our Water” campaign Tuesday at the University of Charleston. The group seeks to have a public takeover of West Virginia American Water. Advocates for a Safe Water System accuses the utility of "failures to invest in a safe, reliable water system." The group also plans to outline the need for a locally-owned water system. A news conference is scheduled for Tuesday, September 8 at noon at the Rotunda Patio located behind Riggleman Hall on UC's campus. The group says information related to the Our Water campaign will be available at ourwaterwv.org as of September 8. The new website will include a link to a petition as well as other campaign information. The January 2014 spill of a coal scrubbing chemical at the Freedom Industries site in Charleston spurred a tap water ban for 300,000 West Virginians for up to 10 days. 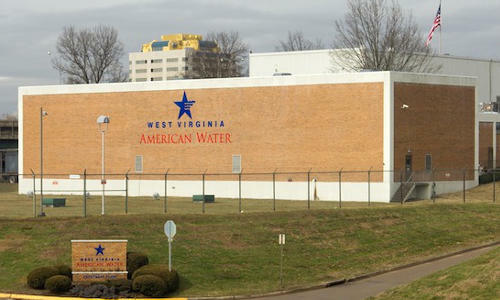 West Virginia American Water’s intake is located a mile downstream of the spill site. An advocacy organization formed after a 2014 chemical spill has filed a petition to intervene in West Virginia American Water's rate case. The state's biggest water utility is seeking Public Service Commission approval for a 28 percent rate increase. The company attributes the proposed increase to $105 million in system improvements since 2012 and $98 million in projects planned through February 2017. Environmentalists, activists and artists of all sorts are commemorating the one year anniversary of a chemical spill into the Elk River near Charleston. The spill of MCHM by Freedom Industries tainted the water supply of 300,000 West Virginians across nine counties and left them without usable tap water for days. Regulators ordered a water company under investigation for its chemical spill response to produce emergency plans and information potentially protected by anti-terrorism laws. The state Public Service Commission ordered West Virginia American Water on Friday to produce many documents it opposed releasing. The PSC says some information potentially shielded by state and federal laws can be considered. It will be confidential from the public. West Virginia American Water initiated a contingency plan today for a temporary backup water supply in Huntington. The need for a temporary backup water supply to the treatment plant is because of increased algal bloom activity on the Ohio River. West Virginia American Water was notified late last Friday by ORSANCO that algal blooms has been detected on the Ohio River upstream from Huntington. Since then West American Water has followed United States EPA recommendations, which include monitoring the water quality and enhancing treatment techniques. Results so far show no impact from the algal bloom in the Huntington water system. And the system continues to meet all drinking water standards.